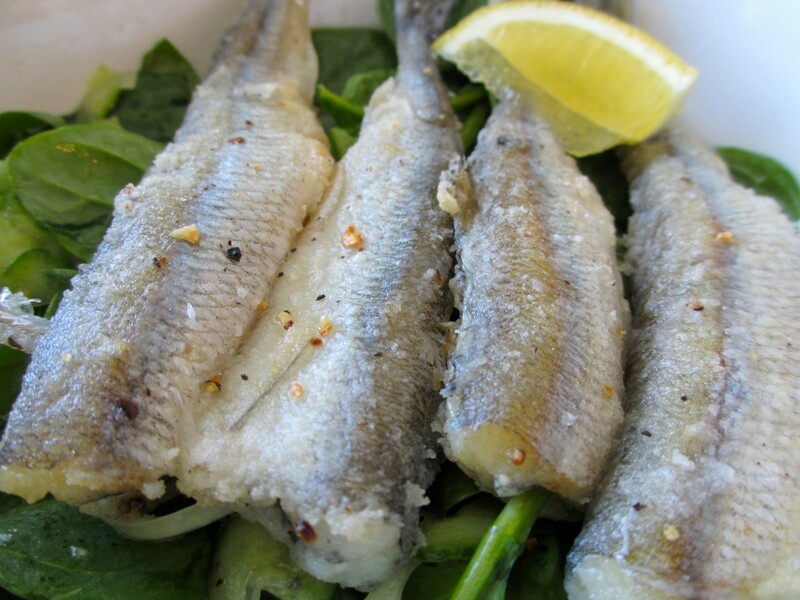 Smelts are a family of small fish, found in the Atlantic and Pacific Oceans. 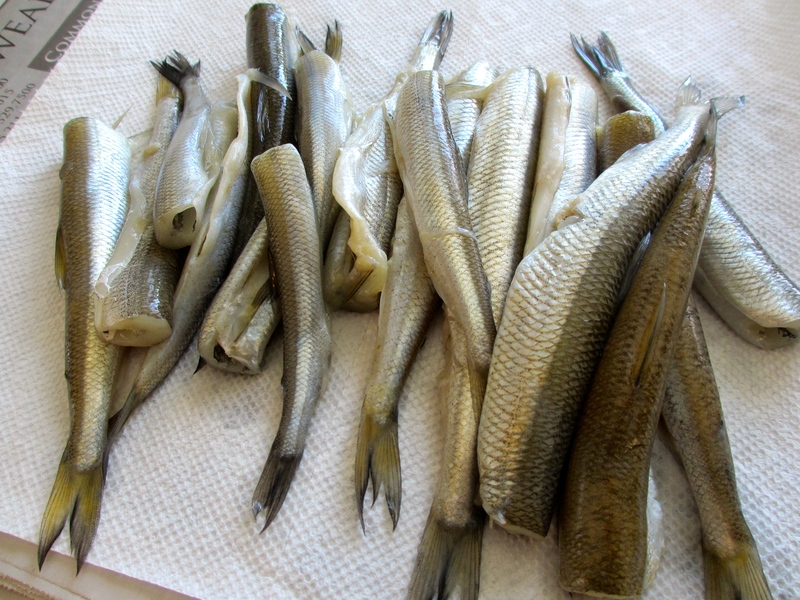 They are also known as freshwater smelts or typical smelts to distinguish them from the related Argentinidae, Bathylagidae and Retropinnidae. Some smelt species are common in the North American Great Lakes, and in the lakes and seas of the northern part of Europe, where they run in large shoals along the saltwater coastline during spring migration to their spawning streams. 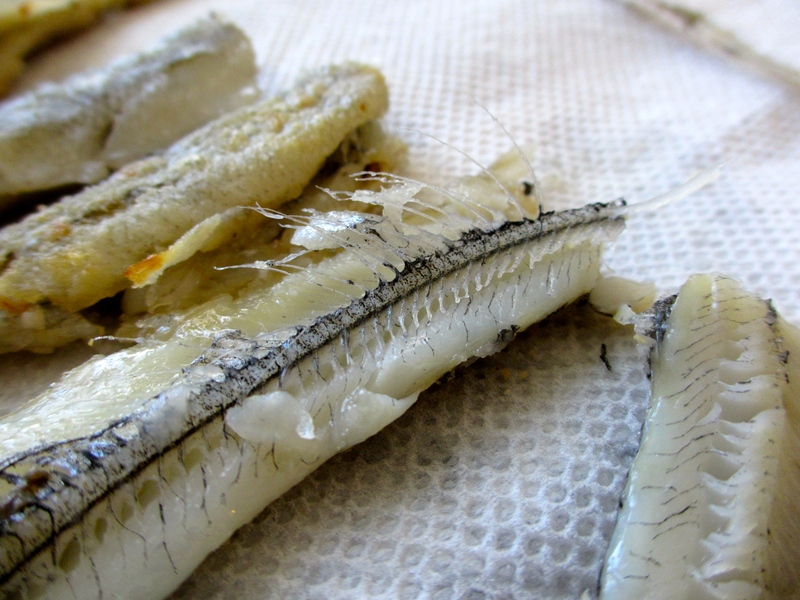 In some western parts of the United States, smelt populations have greatly declined in recent decades, leading to their protection under the Endangered Species Act. 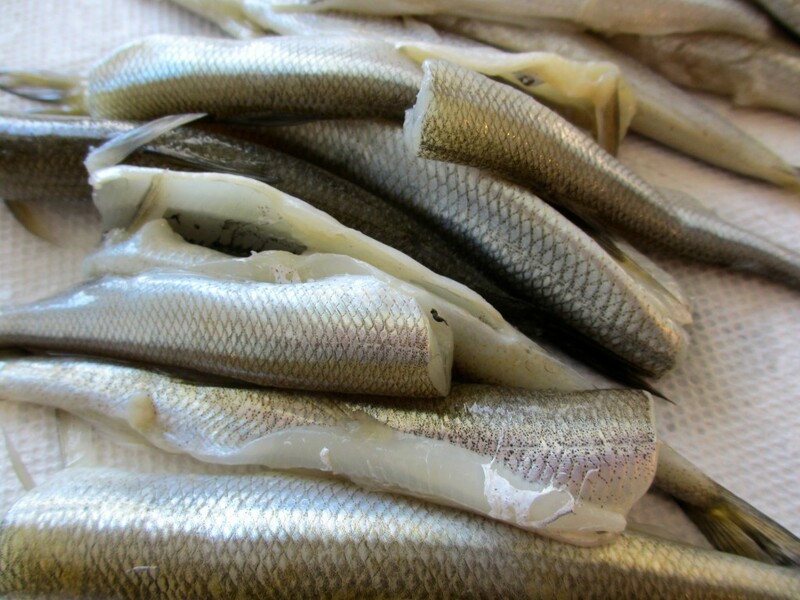 The Delta Smelt, Hypomesus transpacificus, found in the Sacramento Delta of California, and the Columbia River smelt, ” Eulachon”, are both protected from harvest. 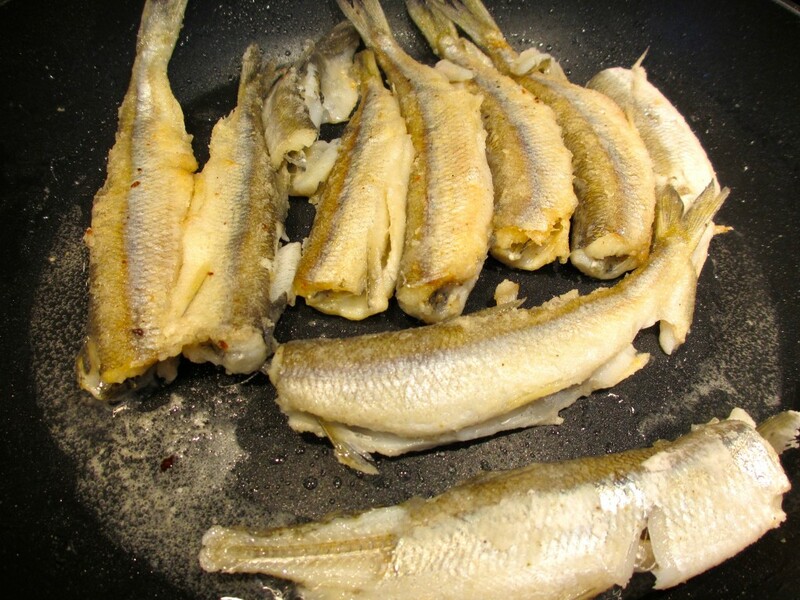 Smelts have been traditionally an important winter catch in the salt water mouths of rivers in New England and the Maritime Provinces of Canada. Fishermen would go to customary locations over the ice using horses and sleighs. 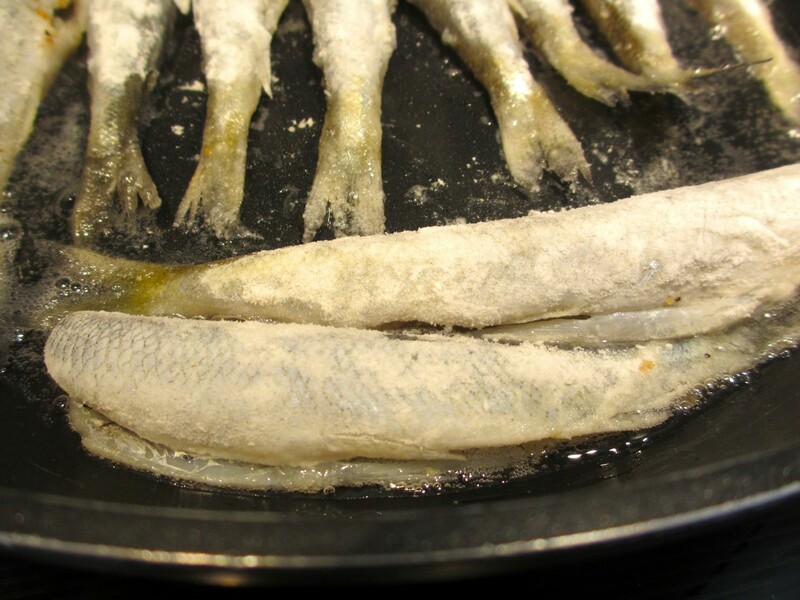 Smelt taken out of the cold salt water were much preferred to those taken in warm water. The smelt did not command a high price on the market, but provided a useful supplemental income in times when wants were much less. 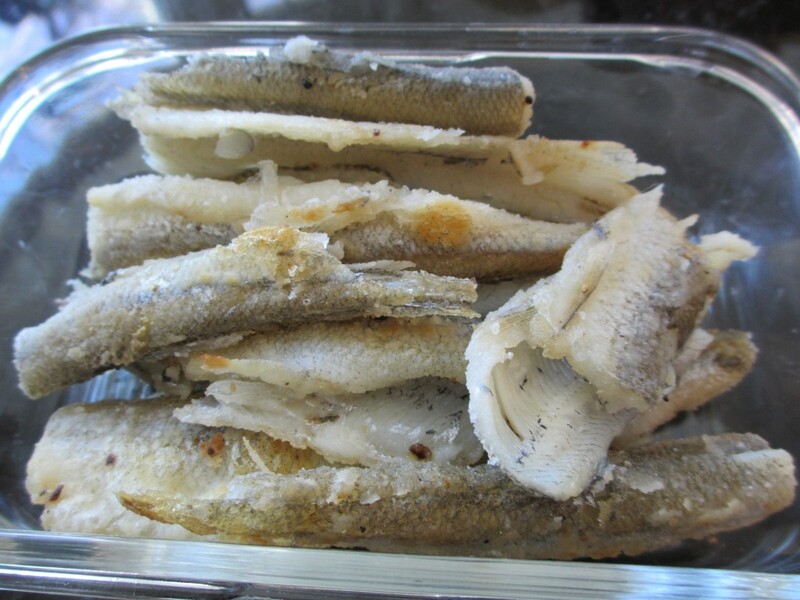 The smelts were “flash frozen” simply by leaving them on the ice and then sold to fish buyers who came down the rivers on horse and sleigh. They were also a winter meal. They were gutted, heads and tails removed, rinsed in cold water then dipped in flour mixed with salt and pepper and fried in butter. Served with boiled potatoes and pickled beets, they were an addition to winter fare. They are still considered traditional Acadian fare. 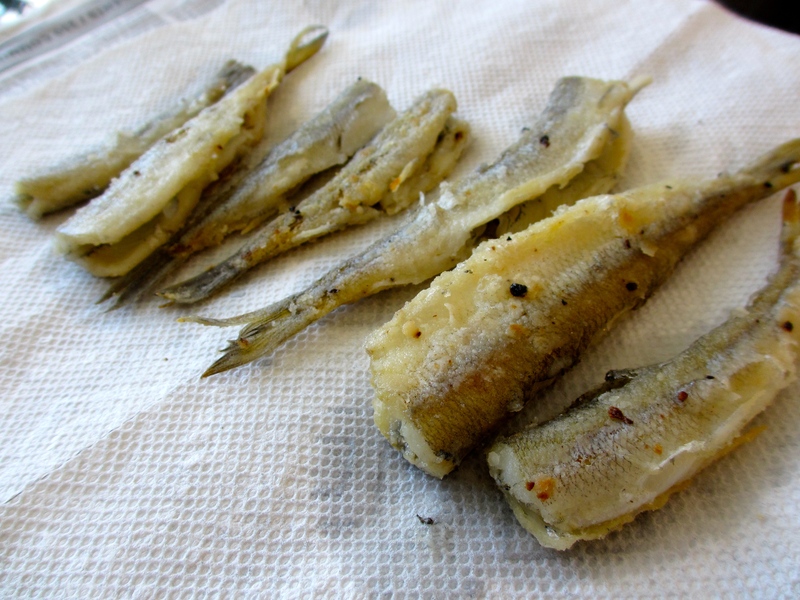 My mother made smelts when I was a child. I can assume she learned this from her mother, who most likely cooked them because they were an inexpensive, nutritious, winter treat and she was trying to feed six kids. 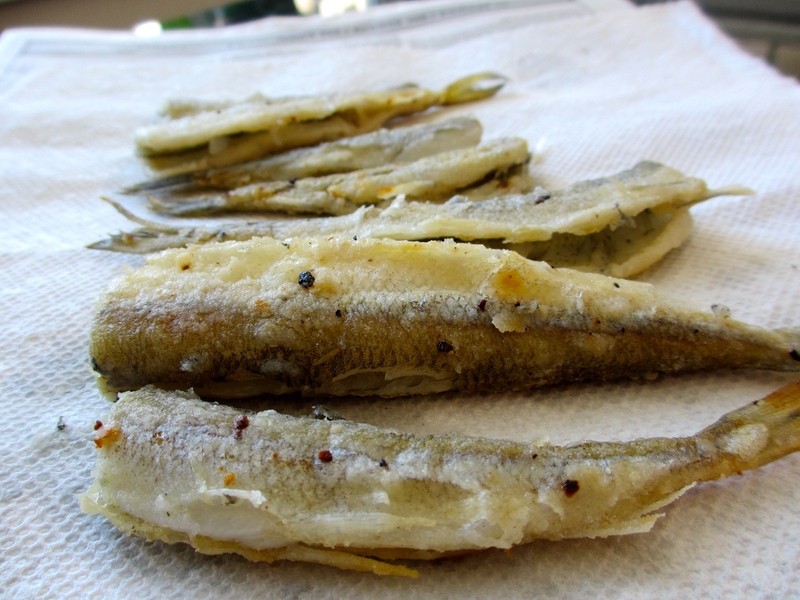 I remember my mom dredging them in flour, a little salt and pepper and flash frying them… serving them with french fries and fresh lemon wedges. When I saw them at my local WholeFoods, I immediately became nostalgic and couldn’t resist buying them. 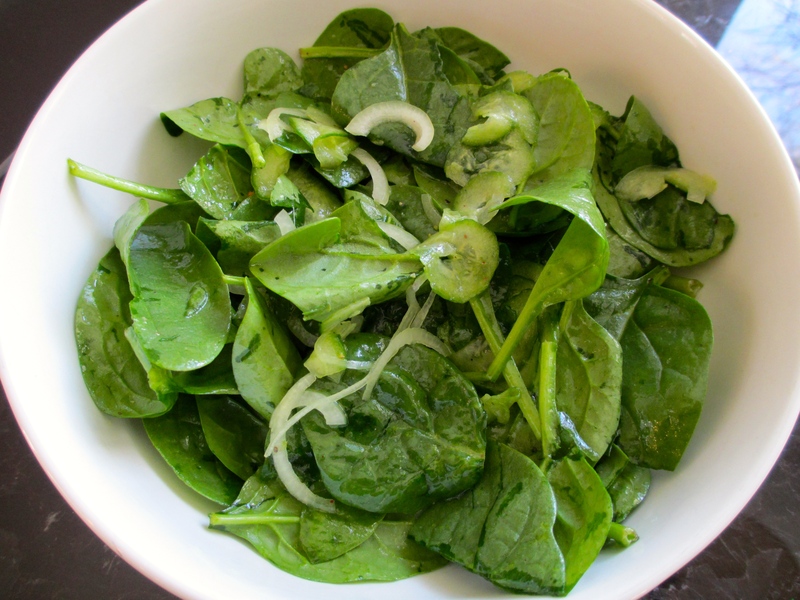 In a large bowl, combine spinach, cucumber and onion. Toss to evenly distribute. Generously drizzle high-quality extra virgin olive oil over the salad. I just eyeball this and never measure. You can add as much as you’d like. Squeeze the juice of about 1/4 of a large lemon over the salad. Season with salt and pepper to taste. I use fresh-ground for both. Using tongs, toss the salad to ensure all components are evenly coated with the olive oil and lemon juice mixture. Taste and adjust the seasoning as necessary. Evenly distribute into two large salad bowls and set aside. In a large skillet, heat the coconut oil over medium low heat to melt. 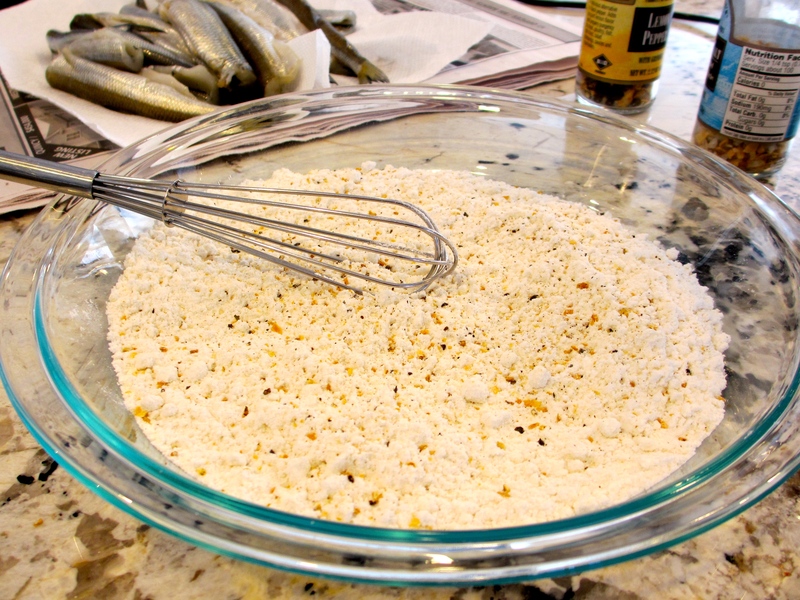 In a flat dish (like a pie dish), mix together flour and seasoning. 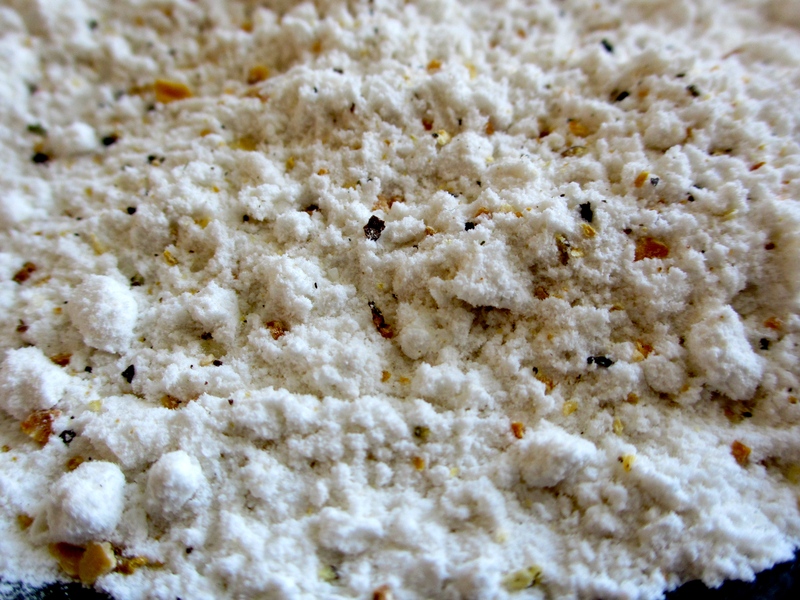 Again, I don’t measure here… If using a grinder, I’d say give a good 5-6 hearty grinds of each spice. 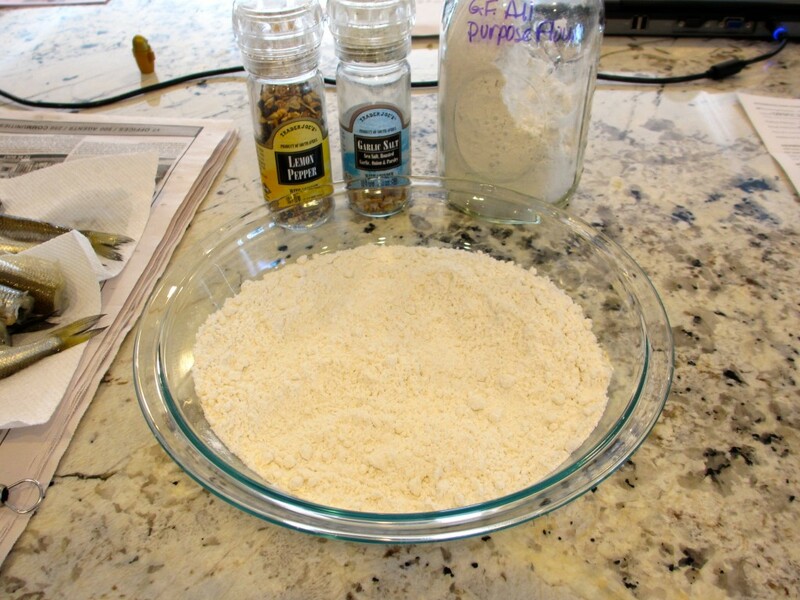 Use a small whisk to blend the flour mixture together. 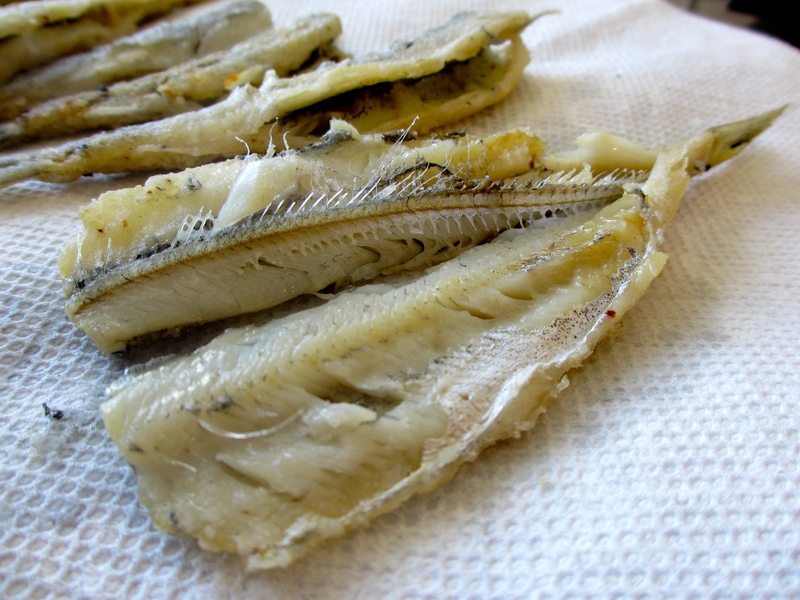 Rinse the smelt under cold water and pat dry with paper towels. 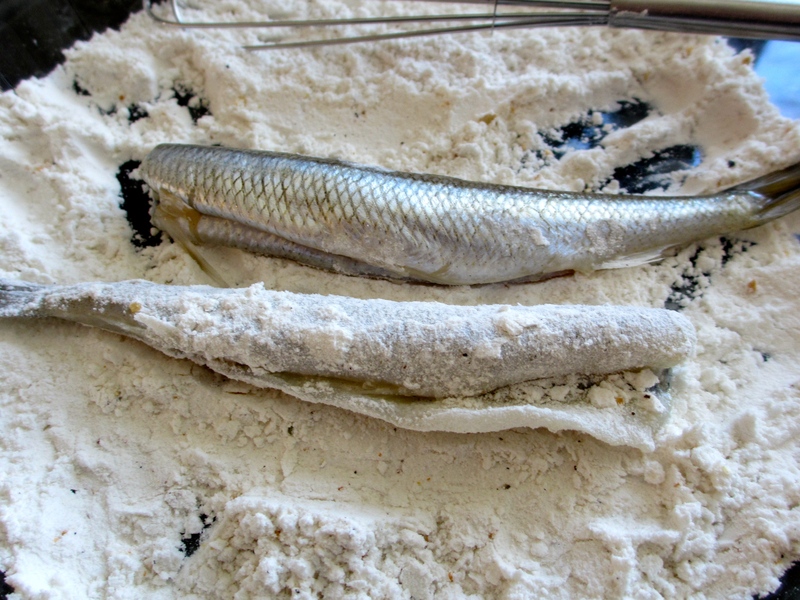 Dredge each smelt in the flour mixture to coat well. 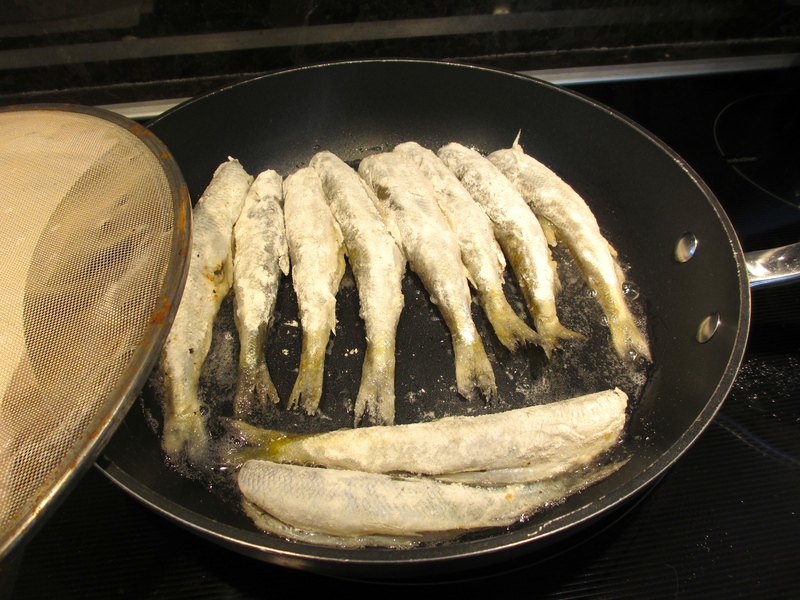 Increase the heat under the fry pan to medium high and once the oil has heated up, gently add the fish. Be sure to leave enough space between each to prevent them from sticking to one another as they cook and to make flipping them easier. Depending on the size of the fish (most tend to be 4-5″ long), cook for approximately 3 minutes per side or until flour becomes golden brown. My first batch had some larger fish (more like 7-8″ long), so I had to cook them for 5 minutes on the first side and 3 minutes on the second side. When the first side is properly cooked, carefully flip them over (they are VERY delicate, so use a fish spatular or tongs combined with regular spatula to avoid breaking them). Cook for additional 3 minutes, then carefully remove them and let them sit on newspaper and/or paper towels to drain off some of the grease. 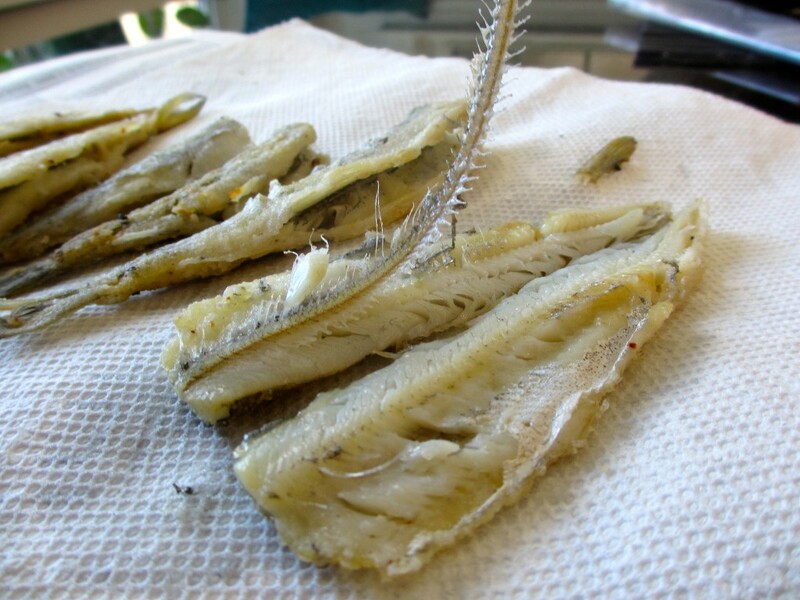 Using your fingers or silverware, gently open the body cavity of the fish to gain access to the spine. NOTE: Everything is edible, the meat, the skin AND the bones… but I prefer to remove the spine and most of the rib bones if possible. It’s just a personal preference but not necessary. 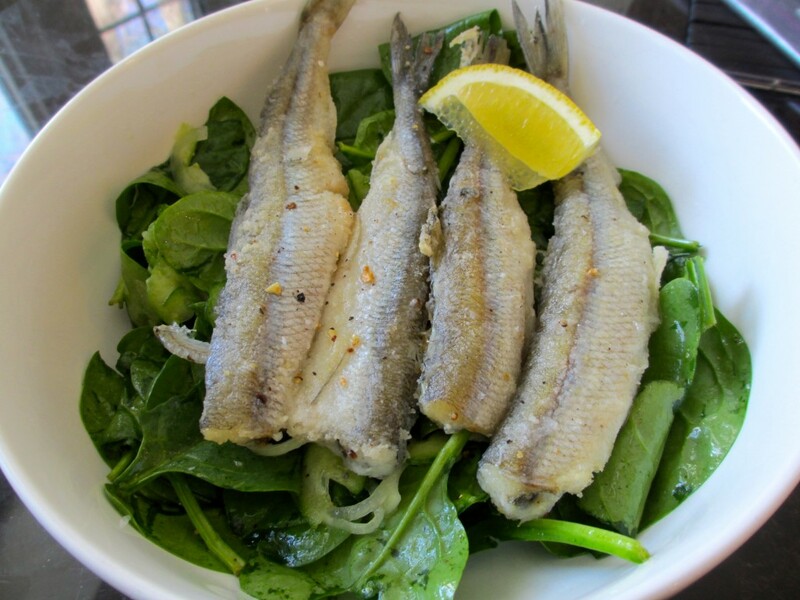 Leaving some/all of the bones in adds an additional calcium kick to the high level of protein and Omega 3 fatty acids you are already getting from this dish! 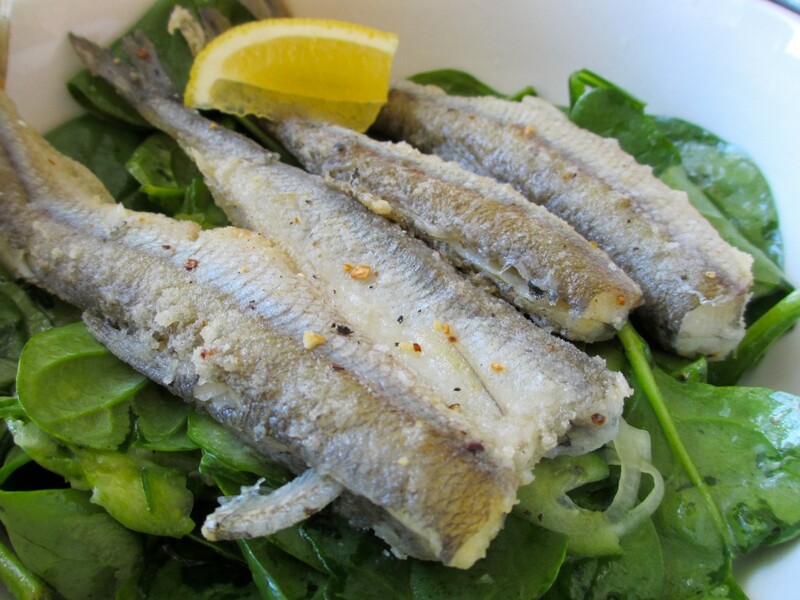 Did you know that smelts have the third highest levels of omega-3’s of ALL fish??? Using your fingers, carefully pull out the spine. I like to start by gently pulling away the tail, while trying to keep the spine in tact. As you gently lift and pull, you will see the tiny pin bones (ribs) pulling out of the meat. If some get left behind, just eat them! If this grosses you out, you can carefully remove those too. Set aside those for the salad and you can save the remaining filets for later use in your refrigerator. I would use them within 1-2 days. Not sure what to do with them? I made Quick & Easy Fish Tacos with Homemade Tartar Sauce the next day for lunch! 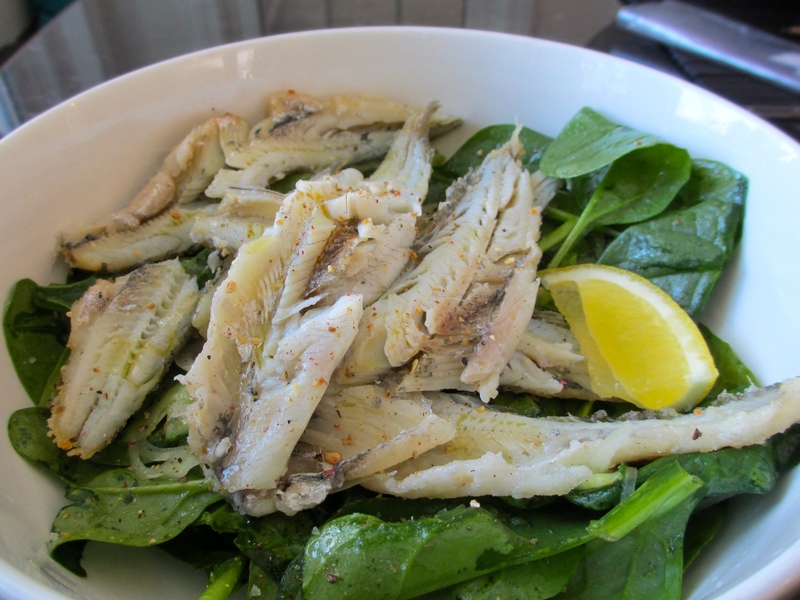 Place a few of the fish (either whole or de-boned) on top of the spinach salad portions. Squeeze some fresh lemon over them and season with a little more lemon pepper and garlic salt. If you prefer de-boned… that’s fine too! Eat and enjoy! 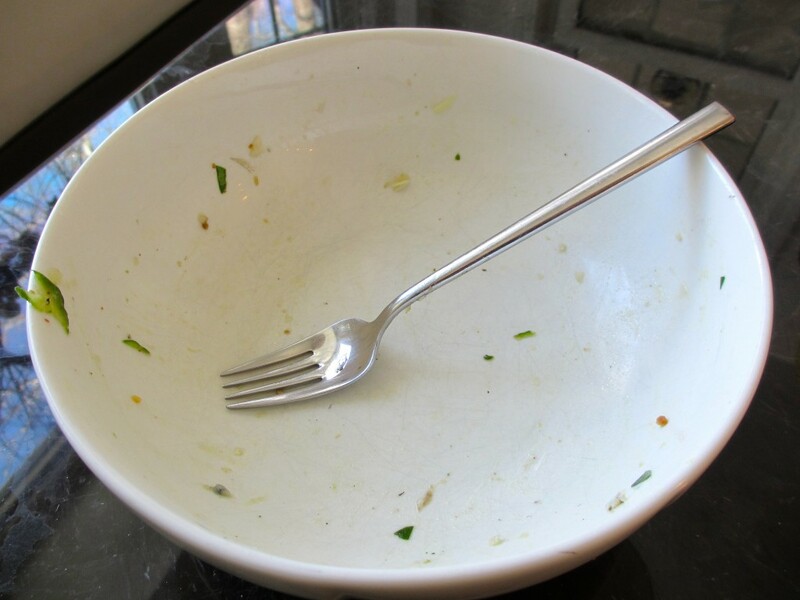 As you can tell… I definitely enjoyed MY dish! The Whole30 – What is it and what do you eat?? ?